Power chords are used in many musical styles, but Rock music may be the most common. These chords sound thick and raw. Power chords are easy to play because they are played using modified versions of patterns that you probably know. In most cases, they are easier to play! Just like the barre chords, all power chords are movable up and down the fretboard. Power chords are fifth chords and are written using the root note name and the number 5 (ex: C5, D5, A5). Although it is considered a fifth chord, guitarists almost never refer to this chord as a fifth chord. 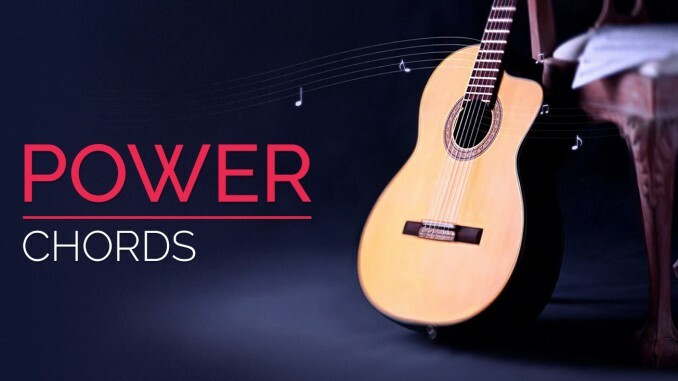 The simplest power chords contain only two notes. They are based on the open E, A, and D chords. The example below shows the open chord followed by the matching power chord. Often, the root note is repeated in power chords to give a fuller sounding chord. These chords are the same as the two-string versions but they play the root note a second time. The example below shows the 2-note power chord followed by the 3-note power chord. 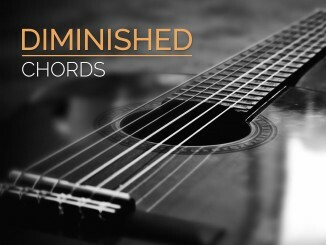 AP-007 Why are chords major or minor? About the power chords. I do understand about them. Also barre chords. I use inside chords a lot. Some barre chords. I am yet to use a lot of power chords.